Chevrolet chose San Diego to launch its long awaited Camaro Convertible. On hand were both the high performance SS models and V6 models that will likely account for more than half of convertible sales. Chevrolet also offered writers the chance to get behind the wheel of V8 and V6 Ford Mustangs for competitive evaluation. We were one of the lucky ones to do so. 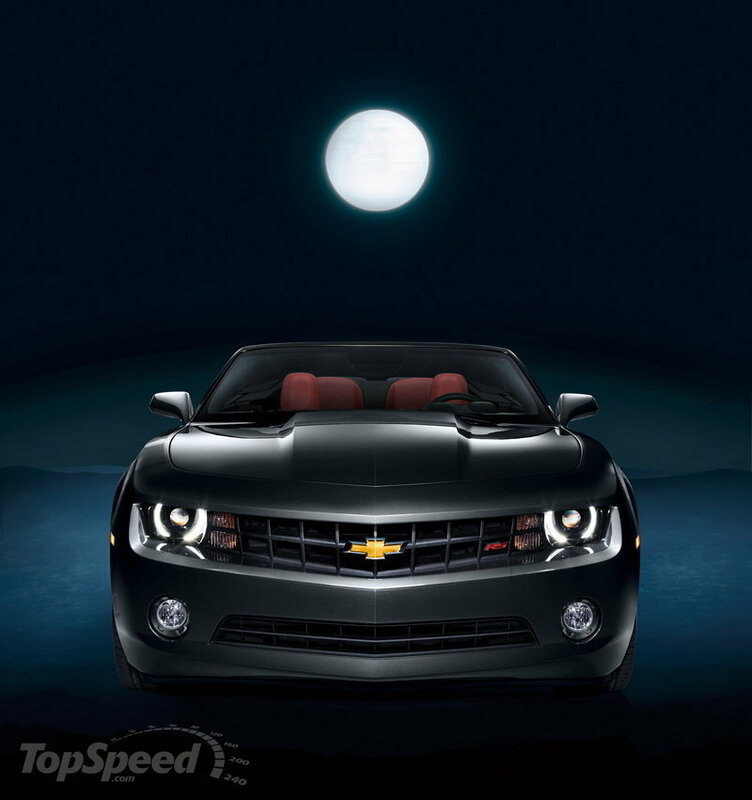 The Camaro Convertible offers the same engine choices as the coupe: a 312-hp Direct Injection V6 engine for the standard version and a 6.2-liter V8 engine producing 426 hp for the SS version. A six-speed manual transmission will be standard, with an optional six-speed automatic. The Convertible Camaro will be offered with four-wheel disc brakes, StabiliTrak electronic stability control, and 18", 19" or 20" wheels. The SS model gets Launch Control with a manual transmission to optimize hard-acceleration launches for quicker, more consistent performance. 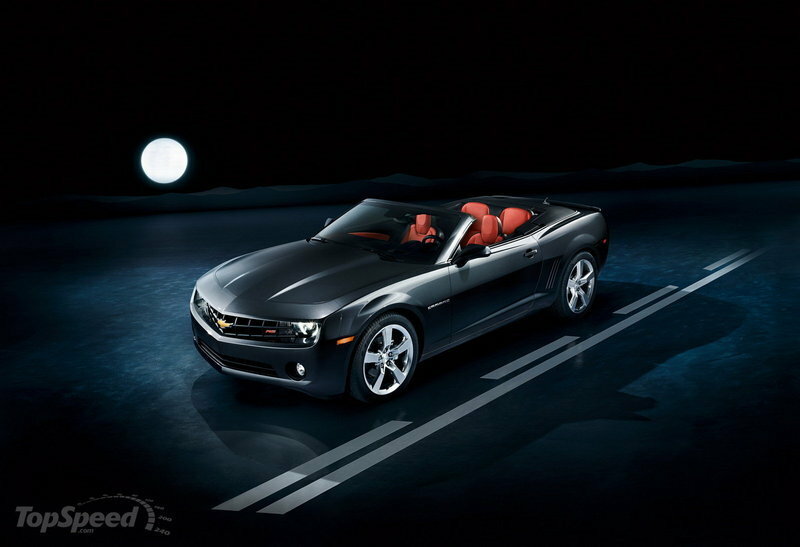 Update 01/31/2011: General Motors has finally put the Camaro Convertible into production at their Oshawa plant. 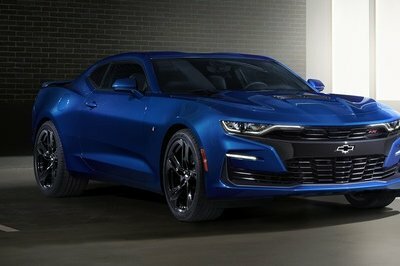 The first units will arrive at dealerships in February with prices starting at $30,000 for a Camaro Convertible equipped with a 3.6L V-6 engine to $37,500 for the SS version. UPDATE 05/29/11: We’ve uploaded a new video featuring the Chevrolet Camaro Convertible as it undergoes some extreme testing courtesy of General Motor’s highly entertaining Dept. 180. As always, Dept. 180 takes the testing and puts its own unique twist on it. Pretty enjoyable video if you ask us and something that you can spend three minutes of your life watching. More details on the Chevrolet Camaro Convertible after the jump. 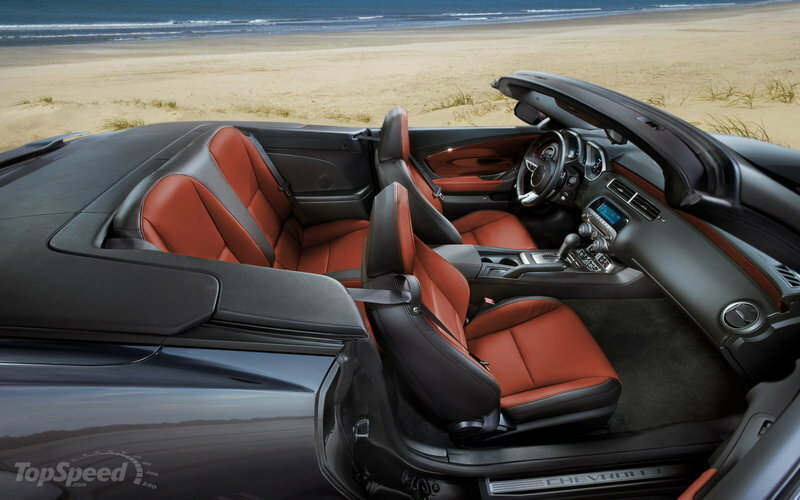 The Camaro convertible’s three layer top is manufactured by Magna International at its Bowling Green, Kentucky facility that also makes the Corvette convertible’s five layer top. Engineers said that one of the goals of the top’s design was to avoid the “hungry horse” sagging that occurs in between the top’s support ribs. 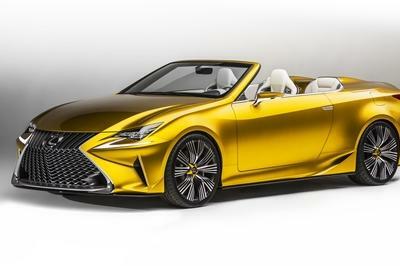 Taking the top down requires about 20 seconds and it stows flat with the trunk lid. To finish off the look, a tonneau cover is standard on 2LT and 2SS models and optional on 1LT/1SS. We would have saved the trouble and forgone the hassle of putting the cover on and taking it back off again. With the roof in place and all the windows up, you can still hear a lot of noise on the freeway, and in the case of the V8, you can also hear the wonderful growl of the engine. Visibility is what you might expect, great with the top stowed and a bit claustrophobic with the top up. General Motors has made rear parking assist standard on all Camaro convertibles, which helps tremendously in a parking lot, but we’d also like to see blind spot monitoring make the options list at some point in the future. Wind buffeting and noise was not a problem during our testing and the Camaro does not come equipped with any sort of standard wind blocker. However, for those who demand a cone of silence there will be an accessory wind screen available as an accessory. One area that does not receive any changes to speak of is the Camaro’s interior. The same funky layout and hard plastics are carried over from the coupe. If there was an Achilles heel to be had during this test, it would be this. The interior certainly isn’t a deal killer, but when spending somewhere north of $30,000 one hopes for something a little better. Fortunately for Chevrolet, initial demand for the Camaro convertible will keep things humming until a refresh hopefully clears up this situation. When it comes to carrying luggage, you had better keep it to duffel bags. The Camaro coupe’s 11.3 cubic feet of cargo capacity shrinks to 10.24 in the convertible with the top up and 7.85 cubic feet with the top down. There are a host of sensors in the trunk to keep you honest and avoid expensive luggage crunching. Under foot, the 312-horsepower direct injection V-6 engine offers up enough gusto to get the Camaro up to speed quickly enough, but you do miss the raspy snarl of the big V8 which absolutely permeates the cabin with its wonderful notes. The V6 has the softer FE2 suspension and features standard 18” or optional 19” or 20” rims. 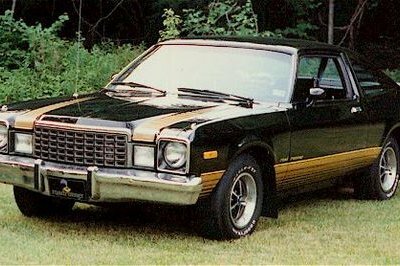 All of the Camaros we drove had 20” rims and ride quality was never an issue. Because of the softer tuning, the V6 models did exhibit a bit less cowl shake, but the V8 was by no means jelly-like over the rough stuff. In fact, Chevrolet engineers were proud to point out their test results showing that the bending and torsion of the Camaro convertible is better than Ford Mustang and the torsion stiffness is better than the BMW 3 series. To get that level of stiffness, engineers fitted a tower-to-tower brace under the hood, a transmission support reinforcement brace, an underbody tunnel brace, and front and rear underbody “V” braces. The real sizzle at the launch, however, was the 426 horsepower LS3 motor that is yoked to the manual transmission SS model, which starts at $37,500. Cruising the back roads of San Diego simply meant getting the Camaro up to speed and then leaving the transmission in third or fourth and stabbing at the throttle. The 420 lb.-ft wave of torque kept the Camaro comfortably rocketing along without any worries. For automatic buyers, the L99 motor supplies 400 horsepower and torque is rated at 410 lb.-ft. 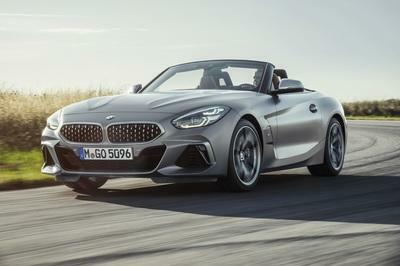 In the acceleration department, the convertible lags the coupe in most metrics by about .2 seconds give or take with the quarter mile taking a bit longer than that. For example, in GM’s testing the V6 coupe with the automatic goes 0-60 in 6.0 seconds while the convertible takes 6.2 seconds. The V8 SS coupe with a manual transmission takes 5.9 seconds while the convertible takes 6.1 seconds. According to GM, braking results do not vary between coupe and convertible. The SS does 60-0 in a very respectable 117ft with its four pot Brembos while the V6 ranges between 132ft and 119ft depending on equipment. Brake feel during our testing was excellent on all models. Fueling the V6 model requires only regular unleaded and the automatic will achieve 18MPG in the city and 29MPG on the highway. The V8 would like to drink premium fuel, but will run on regular. The V8 automatic returns 16MPG in the city and 25MPG on the highway. Manual editions return slightly lower numbers, but nothing to lose sleep over. During our brief time behind the wheel, we will admit to not checking the average MPG as often as we should have. However, given our experience with other Camaros, those numbers seem very achievable. Camaro V6 models, which start at $30,000 including delivery, feature a standard six-speed manual, but all V6 models in San Diego were equipped with optional six-speed automatic transmissions, which costs $995, because this will be the most popular configuration. Chevrolet will offer four different trims for the new Convertible model: 1LT, 2LT, 1SS, and 2SS. 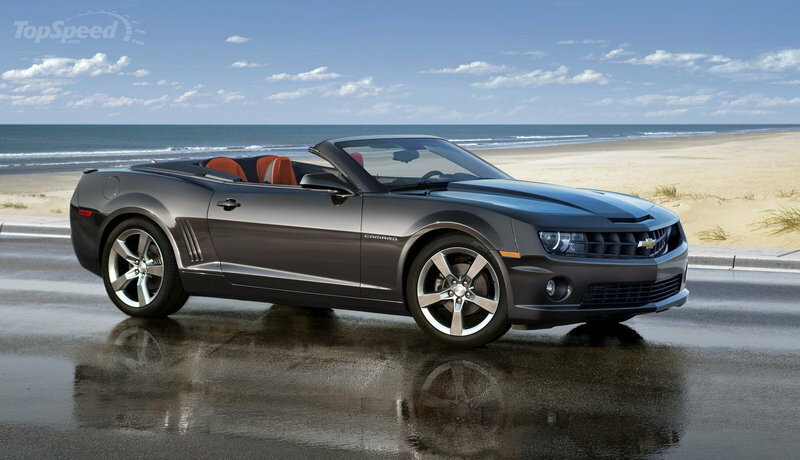 Prices will range from $30,000 for a Camaro Convertible equipped with a 3.6L V-6 engine to $37,500 for the SS version. An RS package will add a total of $1,800. After a day and a half of sampling Chevrolet’s wares, we came away suitably impressed. 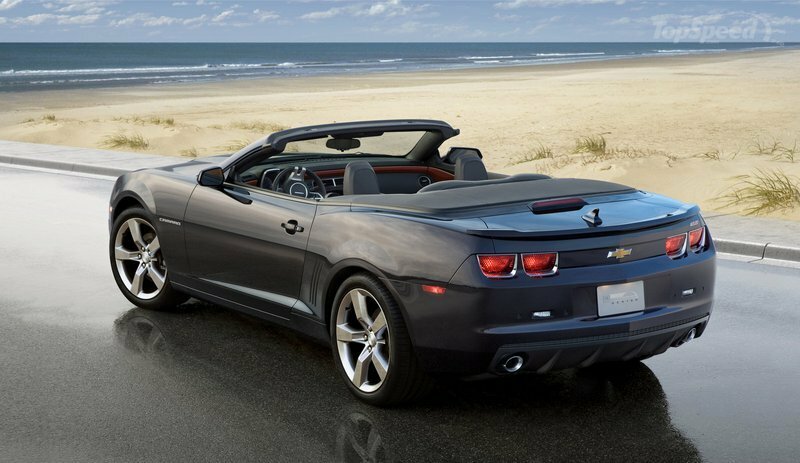 The 2011 Camaro convertible delivers exactly everything we were hoping for in a fabric topped muscle car. 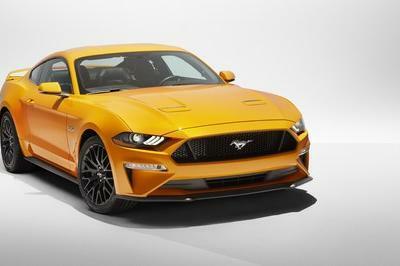 Ford Mustangs on hand for evaluation showed that Chevrolet had squarely hit its competitive benchmarks, leaving the decision a virtual tossup, to be decided by brand loyalties and styling preferences. During a final photo shoot, a local resident wandered over to see the gleaming yellow Camaro SS. After admiring the car and taking a few pictures for himself, he exclaimed, “Man, you’ve got a great job!” Given the day we had just spent with the 2011 Camaro convertible, we couldn’t agree more. General Motors covered our expenses to attend this media preview. 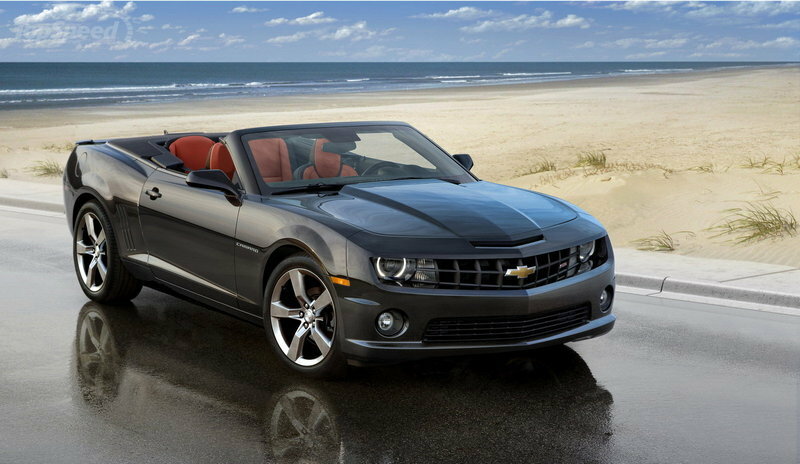 I think this Camaro Convertible is really made for Americans because of its aggressive muscle-car style. It is less sophisticated than other European sports car. This muscled car is so impressive on its simplicity, and I noticed that it was oozing with angst and aggressiveness despite of having a simple platform and other detailing.